$5-65. 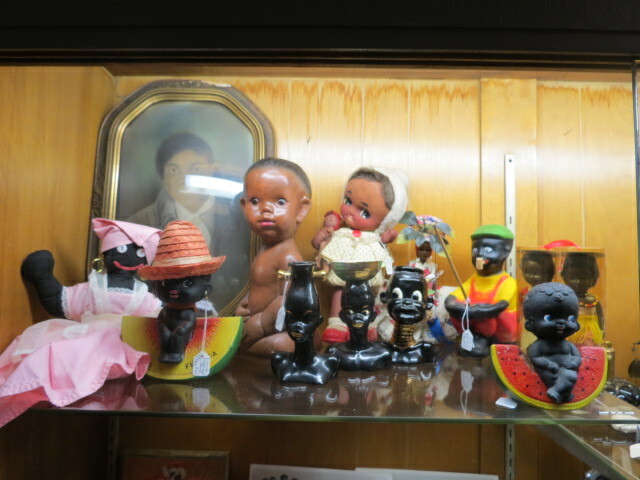 Vintage antique large collection of black americana memorabilia just arrived! c. 1940-1960. Dolls, figurines, salt & pepper shakers, and more. The black santa Christmas cards are great! Add to your collection now. Good to very good condition.